Retinal Degeneration is a condition when the cells of the retina begin to decline in function, thereby, leading to impaired vision or even blindness. This can be due to diet, infection that has spread to the retina, genetic (progressive) conditions or degenerative conditions that develop, such as glaucoma. In some cases, there is no known cause, such as Sudden Acquired Retinal Degeneration Syndrome (SARDS). Symptoms include cloudy cataracts, dilated pupils (or pupils that react strangely), reluctance to use stairs, clumsiness (bumping into things), night blindness (that progressively worsens) and sudden blindness. 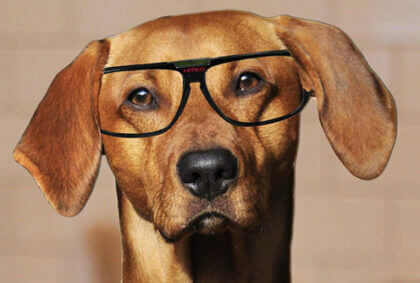 Retinal Disease tends to affect middle aged, female dogs. Most commonly seen in Dachshunds, Miniature Schnauzers and mixed breeds; whereas, mixed breeds are at a higher than average risk. Screening tools are avialable that can detect the disease prior to an physical, outward signs. Unfortunately, there is currently no treatment or medication for this disease. Retinal Disease can be treated by injecting stem cells into the back of the eye to help regenerate healthy retinal tissue. The sooner stem cells are given in the course of this disease, the better the pet responds to treatment. If we wait too long, even stem cells cannot restore vision.